For our relationships to be healed, mended and restored, we must speak up and be heard, but we must also shut up and listen. Sometimes, what you are assuming leads to misunderstanding and confusion. Sometimes, what you are avoiding leads to brokenness and pain. Proverbs 17:27-28 tells us, “He who has knowledge spares his words, And a man of understanding is of a calm spirit. Even a fool is counted wise when he holds his peace; When he shuts his lips, he is considered perceptive.” Maybe, you need to slow down and listen more. I had a teacher in my young life who said, “God gave you two ears and one mouth. Learn which one He wants you to use more.” This has really stuck with me through the years. Maybe you contend that it’s easier for me to stop and listen than it is for the next guy. Maybe my introverted personality affords me more latitude. This doesn’t mean the next guy is necessarily excused from the need, from the expectancy of others. This doesn’t mean he has a better excuse than I. No, it just simply means he might need to work a little harder to open his ears and shut his mouth. 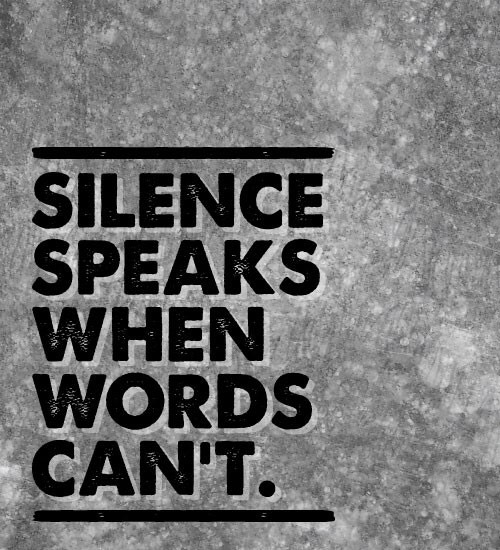 Other times, it’s better to speak up and be heard than to remain silent. In just a few chapters later, in the book of Proverbs, this instruction is given to us, “Open your mouth for the speechless, In the cause of all who are appointed to die. Open your mouth, judge righteously, And plead the cause of the poor and needy.” Sometimes, when you remain silent, what you are feeling is not simple discomfort, it is pure conviction for what you are observing, hearing and the situation of which you are allowing yourself to be a part. 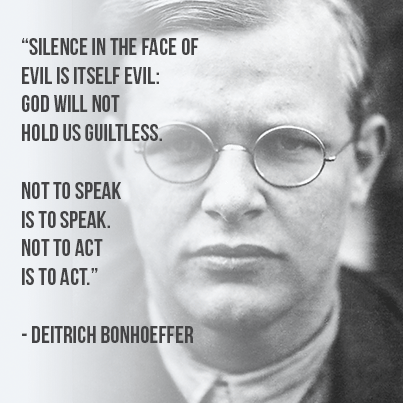 When you remain silent, your actions further condone what is happening. If it is wrong, speak truth. Stop violence. Stop harm against the innocent. Stop evil with your bold speech. I could argue that, maybe it’s easier for you to speak louder than it is for me. Maybe your extroverted personality allows you more fortitude. This doesn’t mean I am excused from the necessity of expression, from the desperation of the wounded. This doesn’t mean I have a better excuse than you. No, it just simply means I must put more effort in the articulation of my voice. The perfect balance comes between the tension of knowing when to speak and when to remain silent. It comes from the acknowledgment for the need of both and seeking the right one at the perfect moment. It comes in knowing our own weaknesses and strengths and drawing from them both for the courage to do right, and finding our passion in one and releasing our will for another. That is the beauty of conflict and the harmony of perfect peace.